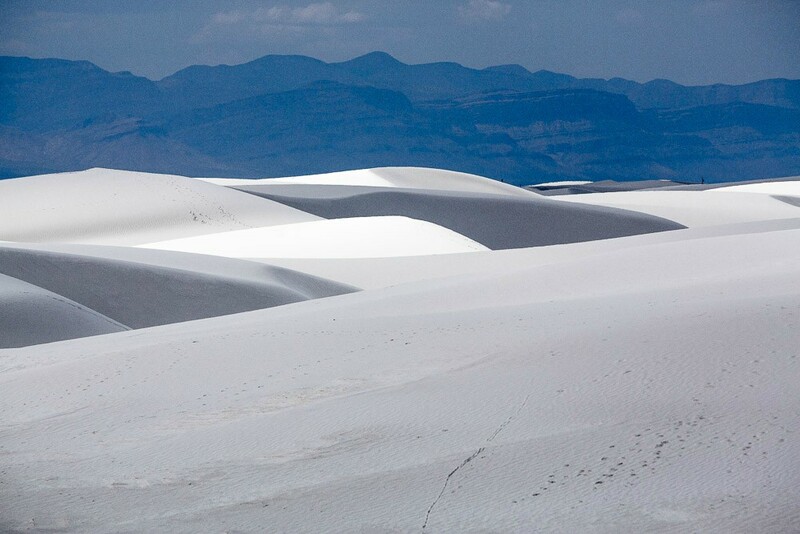 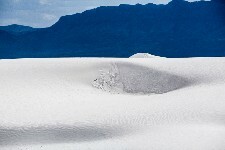 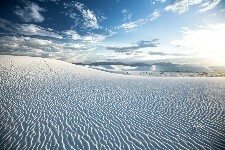 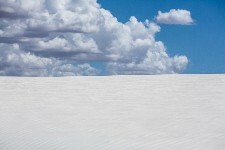 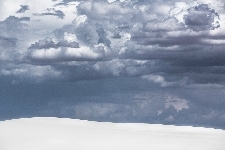 White Sands National Monument in New Mexico consists of 275 square miles of white gypsum dunes and is the largest gypsum reserve in the world. 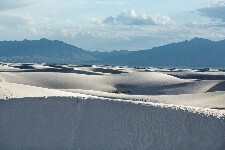 The mineral gypsum is water soluble and therefore rarely found as sand. 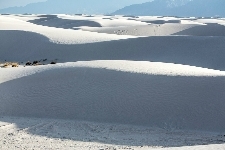 Among its many functions, gypsum is used in drywall for construction and in plaster for casts to set broken bones. 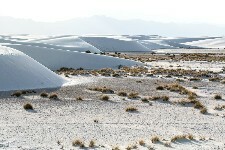 Since Antiquity, a variety of gypsum--alabaster--has been used for sculpture. 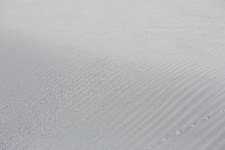 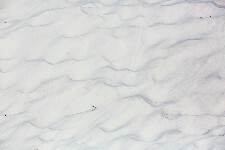 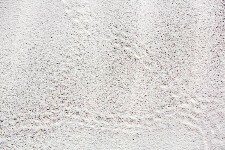 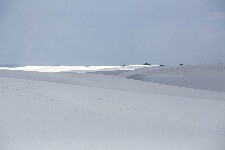 Although the wind reshuffles and reconfigures the dunes, I noticed, as I photographed, that tracks made by animals or humans seemed denser and more permanent on gypsum than on quartz-based sand. 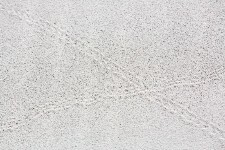 I found fascinating this tension between the permanent-seeming marks and their actual transience. 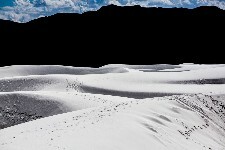 I found equally intriguing the confusion between a summer and winter scene. 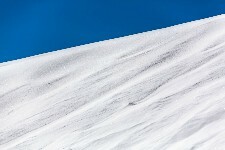 I could feel the 100-degree heat, but, judging merely from the landscape, could not tell whether I was looking at snow or sand.